Makati, Philippines, September 27, 2016. – Teach for the Philippines, the 25th country in the 40 partner strong Teach for All global network, recently celebrated Teach for the Philippines Week. 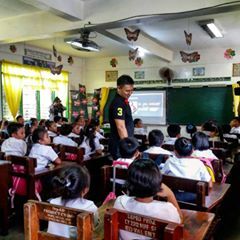 Given its dedication to the movement to expand educational opportunity and to celebrate National Teacher’s Month, Teach for the Philippines recruited key leaders as guest teachers for several of its partner public schools. 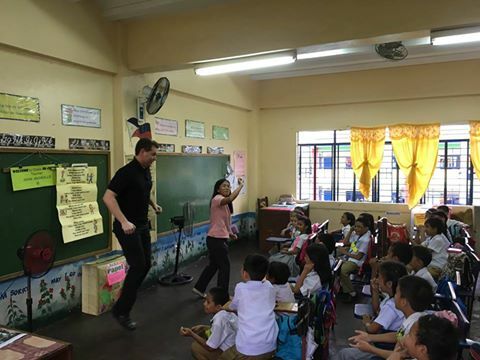 Teach for the Philippines Week ran from September 19 – 23 & 26 – 27, 2016, across partner schools in Quezon City, Navotas City, Pasig City, Sta. Rosa City, Cagayan De Oro City and Del Carmen, Siargao. Mindanao guest teachers included Mayor Oscar Moreno from Cagayan de Oro City, Vice President for Mission & Ministry of Xavier University Irene Guitarte, as well as Siargao Schools Division Education Program Specialist Kem Abuton Jr., and FO1 Melchor Bato, Fire Officer in Del Carmen, Siargao. In the Greater Manila area, guest teachers included Senator Sonny Angara, John Nicholls, Chief Operating Officer of HSBC Philippines, Anonie Abcede, DHL Global Forwarding Head of Airfreight, Camille Lee, Executive Director at UBS AG, Edna Novak, Senior Director of Partner Engagement for Asia Pacific at Teach for All, Mitzi Borromeo, CNN Philippines News Anchor & Correspondent, Dr. Elisa Mañalac, Dean of the Institute of Education at Far Eastern University, Andrew Chong, Eden Techico, Novaleeh Concepcion, Michelle Bayhonan from Smart Communications, Adrian Guggenheim, Solutions Consultant at Kalibrr, Marisyll Pengson, Curriculum Director of John Robert Powers, Noreen Parafina, Program Director of Museo Pambata, Artist Ambie Abaño from the Philippine Association of Printmakers, Zak Yuson from Rappler, Carljoe Javier from the Ateneo de Manila University and Anino Comics, Alumni Jerson Capuyan currently under the Quality Assurance Division of the Department of Education and Jaime Villanueva, Corporate Sustainability Manager of HSBC Philippines and Neni Sta. Romana-Cruz, TFP Board Member and National Chair of the Book Development Board. 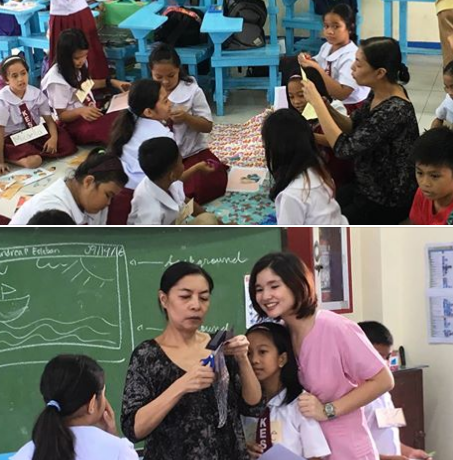 Guest teachers had the opportunity to teach Math, Science, Araling Panlipunan, English, Values, and MAPE alongside a Teach for the Philippines Teacher Fellow. What is more, guest teachers also conducted mini workshops in Art, Writing, Social Media best practices, and Personal Branding. The week’s activities allowed students to gain exposure to different professional fields and backgrounds, an experience that the organization hopes will change students’ perspectives on their future possibilities. Furthermore, the event inspired students to strive for success given the encouragement they received from the guest teachers. 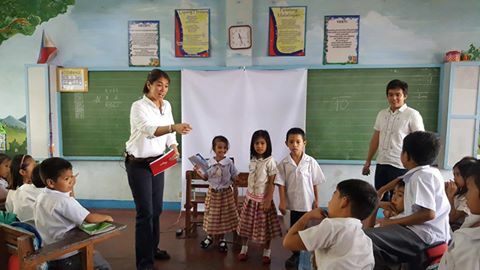 To see other upcoming Teach for the Philippines activities, check out our EVENTS CALENDAR. 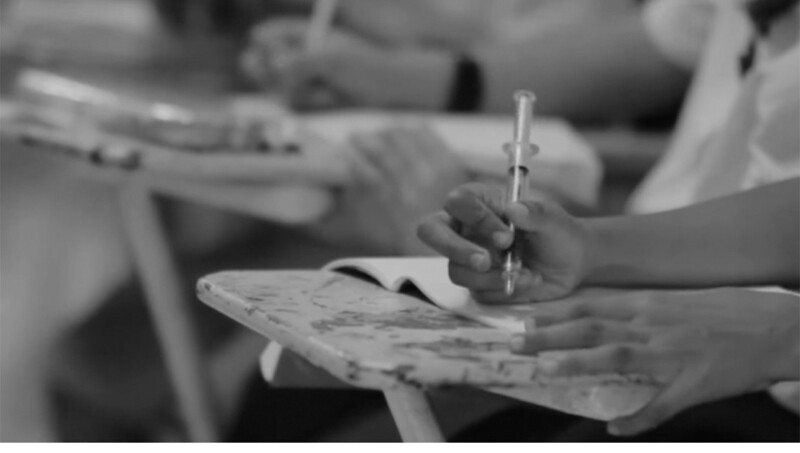 Sign up to get the latest news, announcements, and activities of Teach for the Philippines. © Teach for the Philippines, Inc.